I recently hit a big follower milestone and to say thank you, I'm running a giveaway. To make things a little more fun, I wanted to give the winner a choice of prize, so I'm offering one winner the choice of any eye shadow palette (that's available to buy in the UK) up to a cost of £50. If you've been longing for the Naked 3 palette forever, or fancy Too Faced's Chocolate bar palette, the choice will be yours! All you need to do is complete your chosen entries via the Rafflecopter widget below. This giveaway is open internationally, and one winner be be picked at random one entries have closed. Thank you again to everyone who reads my blog - your support really means a lot. Good luck! Congratulations honey! It's easy to see why your blog is so successful, sooo many well written posts! I think id have to go with a too faced palette, as I've heard nothing but good things! That's such a fab prize! Not even sure what I would go for. Tempted to say the first Naked palette, but probs would go for a Charlotte Tilbury one. o brilliant giveaway :) im thinking a palette from too faced, but im not sure witch! I'd love to try the Naked 3 palette! Oooh way too hard to choose! I think I'd choose either the new bobbi brown sand palette or the charlotte tilbury offering! Amazing giveaway - congrats on so many followers! I'm desperate to try the original Urban Decay Naked palette.. I'm crossing my fingers! I think the Too Face palette would be great for every day use! Congrats on your milestone, that's fab! Thank you for the lovely giveaway :) I think I'd pick Naked 3, I've wanted to try it since it was released! either the Too Faced Chocolate pallette as i hear it smells like chocolate yum! or one of the Charlotte Tilbury eyeshadow quads! I would love to try the naked palette! I'd love the Chocolate bar! The Naked or Naked 2 from Urban Decay! Thanks for the giveaway and congrats for hitting 2000 followers! Congrats! Great giveaway also! If I was lucky enough to win I would probably like to try The Naked 2 palette or The Naked 3 Palette from Urban Decay! Congrats and thank you for the giveaway! If I'm lucky enough to win I would love to try the Naked 1 palette! Congrats! I would love to try the Too Faced Chocolate Bar palette, been wanting it for ages! Love your blog! Congrats on your huge milestone, very much deserved! I am lusting after Charlotte Tilbury palettes at the moment! thanks! :) love chocolate bar! I think I'd like to try the Too Faced Palette or maybe the Charlotte Tilbury Dolce Vita palette? I´d love to try the Chocolate bar! Congrats and thank you for such a great giveaway! I would you like to try the UD Naked2 Palette! I would love to try the naked 3 palette. Would love to try the Naked 3 palette. the Naked 3 palette looks amazing - i'd love to try it out. would be great to have somewhere wild to launch my new look! Congrats with the army of followers! That's a great giveaway, and if i won i would go for something that is not so readily available for me - like charlotte tilbury or armani or tom ford. This is such an amazing giveaway! Congratulations on 2,000 followers - you totally deserve it! I'd love to try an Urban Decay palette, the Naked one looks amazing! I've love to try the Chocolate Bar Palette. Great giveaway! I'd love to try the Too Faced's Chocolate bar palette! Too Faced's Chocolate bar palette! Urban Decay Naked all the way! Great giveaway! I would love to try the chocolate bar palette :) I love your blog and I have followed you with Bloglovin, if you ever get a chance to check out my blog I would be delighted, thanks! Hmmm I might go for the Too Faced Chocolate Bar palette or maybe the charlotte tilbury one because i have not heard of it! Congrats on the milestone! I really want to try the Lorac Pro 2 or the Too Faced Chocolate Bar palattes. Thanks for the giveaway! The TooFaced chocolate bar palette just looks lovely! congrats on 2000 followers!! thats an amazing milestone! Congrats! I'd probably have to choose a Too Faced palette! The Chocolate bar palette, because is new, everyone talk about it and I think that it have a really good range of colours, so because of that, Chocolate Bar is my favourite palette! The naked 2 or the chocolate bar palette look amazing! Congratulations on your blog reaching 2,000 followers - a real milestone! So Awesome I would love to try the Too Faced's Chocolate bar palette, we don't have it in South Africa so that would be fabulous! what a achievement, i am so happy, congrats. 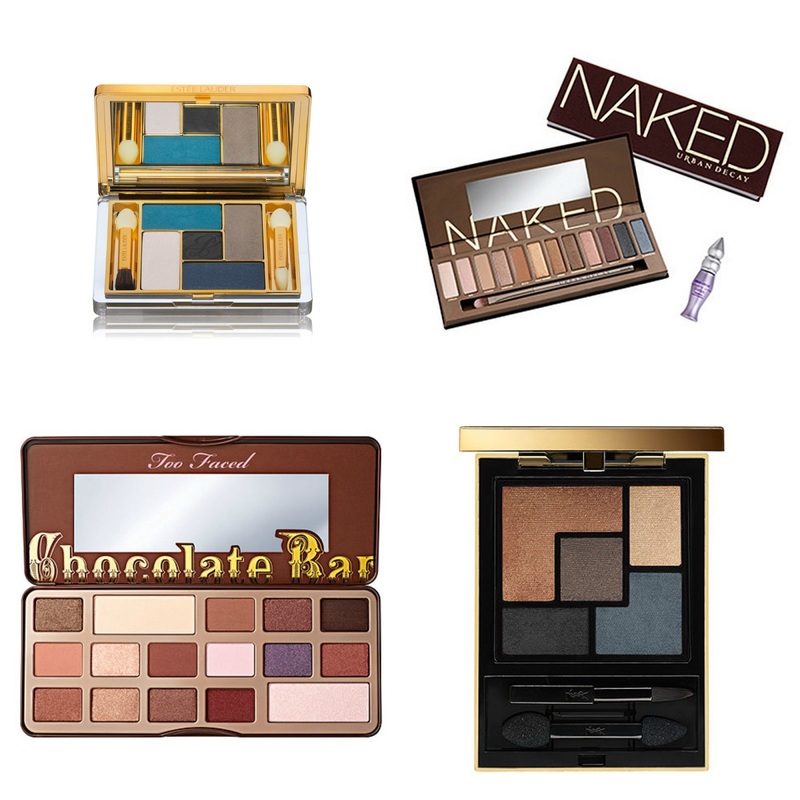 rehana seedat email: rehanaseedat71@gmail.com I would love to try the naked palette! Very well done on your milestone and thank you for such a generous giveaway! I'd choose a Charlotte Tilbury Golden Goddess palette. I'd love a naked palette or a too faced one! I would love to try the chocolate bar! too faced chocolate bar eye shadow collection! I d love to try Naked 3 palette!! I would love to try the chocolate bar palette! I have been desperate to try the urban decay naked palette for ages so to win would be amazing!! I'd like to try Naked 3 because of the colors! Congrats on 2,000 Kat! I have the Naked 3 and electric palette and love them but I'd love to try a charlotte tilbury or bobbi brown palette! The Too Faced palette is so lovely! Congrats! I would love the Urban Decay Naked2 palette. Congrats on hitting 2k! Thats amazing!! ^__^ This is a great giveaway too, personally Ive wanted the Naked 3 Palette forever, so it'd have to be that. I would love to try out Naked 3 palette. I like the urban decay naked palette the most. Sparkling congrats for this enormous milestone!!! I'd LOVE to have one of the UD naked palettes *-* not sure which one but definitely UD hyped products! i really want the chocolate bar palette!!!! rehana seedat email: rehanaseedat71@gmail.com Would love the chocolate bar palette!!!! I really have been longing for UD Naked 3 ever since it came out! Neither of the other palettes appealed to me but I love the look of number 3! Congrats on the 2000 followers BTW! Well deserved! I'd love to try Too Faced's Chocolate Bar. It's got so many pretty shades. I'd absolutely love to try one of the Charlotte Tilbury palettes as they just look so timeless & luxurious :) thank you for the chance to win! I would like to try Too Faced's Chocolate bar palette. I'd love to try the Naked colors. What a fun giveaway! Congratulations on your milestone. It's always a nice feeling to be supported in that way. Here's to the next 2000! I would love to win the too Faced Palette!! Its so beautiful!! Hi from Mexico. The Too Faced Palette, thanks for the chance! I'd like to try the Chocolate Bar Palette! Well done on reaching your milestone! I've always lusted after the Naked Palette but if I won I'd probably spend ages choosing and researching different ones! I'd love to try the Too Faced Chocolate Bar Pallette. I would love to try the Too Faced's Chocolate bar palette!! Most definitely the Naked 3 palette or possibly the Naked 2 it has more matte shades and I LOVE matte! I would love to try the Naked 2 palette.